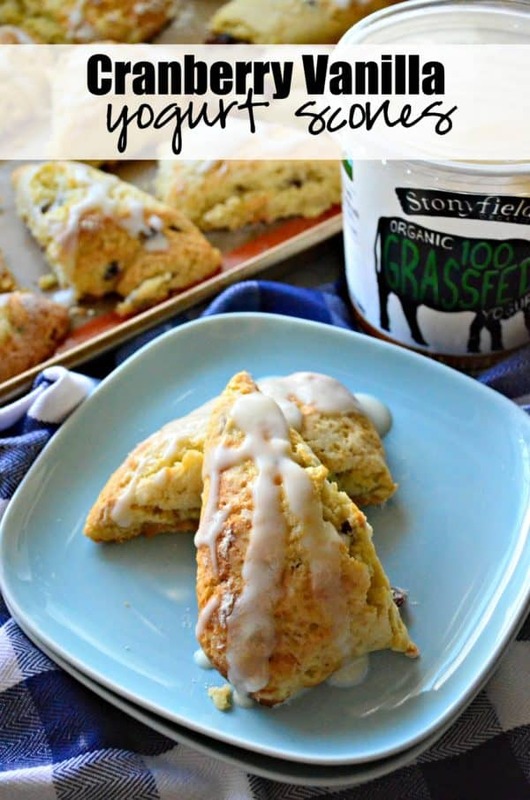 Thank you Stonyfield, Dreamfarm, and SILPAT for sponsoring today’s recipe. As always, all opinions are my own! I hope everyone had a great holiday. I did, and have enjoyed the break from blogging for a little bit to focus on family. 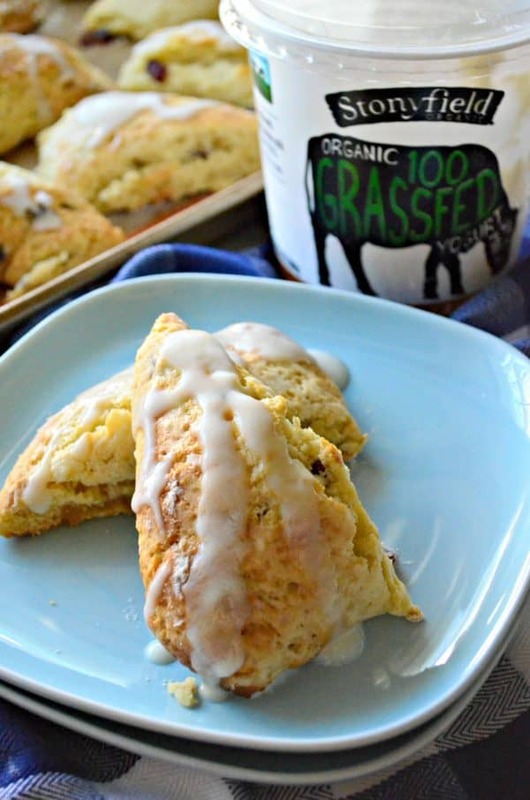 Today, I’m sharing the most delicious recipe for Cranberry Vanilla Yogurt Scones. My friends at Stonyfield challenged us to Pay It Forward this month and gave us a $50 Visa gift card to share with the charity of our choice or a person in need. I thought long and hard about who I wanted to give this money to. At the end of the day I had to gift it to the Central Florida Children’s Home. I typically donate to the Central Florida Children’s Home a few times a year thanks to all the blessings I’ve had from blogging. In fact, earlier this year, Stonyfield sent them yogurt for the house to kick off back to school. The kids loved having the yogurt to snack on and eat for breakfast! They house over 20 children ranging in age from 2-17. 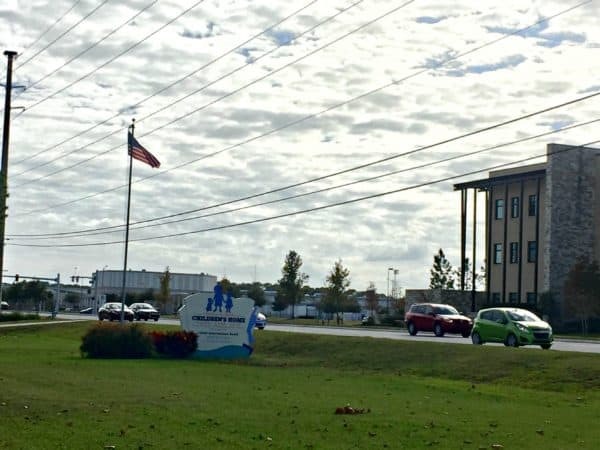 They rely 100% on donations from the public to keep their program going. They always receive an influx of donations around the holidays but that’s it. So they find themselves scraping throughout the year to get by. They loved receiving the $50 gift card because they can use it toward groceries later on in the year when the donation fund in dwindling. 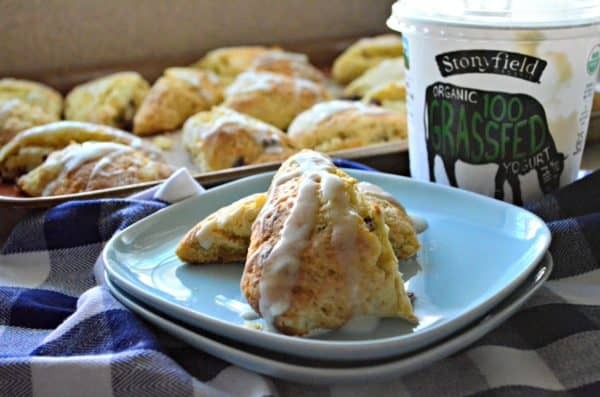 Not only did I bring them the gift card, but I brought the office staff a few of these Cranberry Vanilla Yogurt Scones. A win-win for everyone! 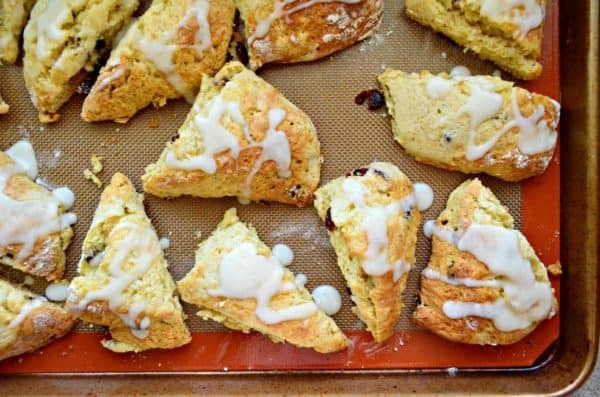 Making these Cranberry Vanilla Yogurt Scones are so easy. I started with King Arthur All Purpose Flour and Stonyfield Organic Grassfed Vanilla Yogurt. I love using the Grassfed because I find it’s a little creamery. What sets the Grassfed apart from the traditional Stonyfield yogurt is that the milk comes from cows who graze naturally on lush grass all the time which gives the yogurt a rich and unique flavor. And like all Stonyfield products 100% Grassfed is organic, non-GMO and made without the use of artificial hormones. Because we are using the vanilla flavor there is no need to add additional vanilla to this recipe since the yogurt does the job! I like to use my stand mixer but you can use your hands to mix these scones. Either way–the dough is sticky! You’ll definitely want a dough scraper and a bench knife for this recipe. As a side note, if you are thinking about wanting to start baking more or wanting to start to make your own bread, these two kitchen tools are a must! It will make your life so much easier! Just trust me. I used my dough scraper to gather the dough into a ball and placed on my lightly floured ROUL’PAT. I love this mat and use it for all my dough baking needs. Prior to pulling my dough out I had my baking sheet lined with a SILPAT ready to go. I lightly floured the dough and my hands and formed it into a rectangle. Then using my bench knife, I cut the dough in half to make two squares. Then I cut two squares into 4 triangles as pictured up. Then I did one more set of cuts doing a cross-like cut. You will have 16 pieces of scone dough in total (not pictured). Using your bench knife and a traditional knife or even a dough scraper, carefully transfer each piece of scone dough to your baking sheet. Make sure to not crowd the pan (you’ll need two baking sheets), since they will expand in size. Once the dough was made and placed on the baking sheets you’ll want to make the glaze. Dreamfarm sent me a pair of Levoons to try. I instantly fell in love with them. They are self leveling measuring spoons–pretty genius if you ask me. The Levoon handles squeeze together to scrape off excess ingredients giving a level and accurate measure. Where have they been all my life? ((Scroll down–I’m giving away a set!)) So to make the glaze you gather up a little more of the decadent Stonyfield Organic Grassfed Vanilla Yogurt with equal parts powdered sugar. Then you’ll brush on half the glaze on to the top of the scone dough. You’ll reserve the other half for once they are out of the oven. Bake the scones in the oven for 10-15 minutes or until golden in color. Then drizzle the remaining glaze and gobble the scones up. I might have consumed 3-4 in one sitting. They are so so good and so easy to make. Even the most non-skilled baker could make these and impress family and friends! Like I mentioned, one lucky reader can enter to win a set of the Dreamfarm Levoons. Seriously, they are a game changer in the kitchen! Giveaway is open to United States residents only ages 18 and up. Please fill out the widget or click on the link to the widget to enter. Giveaway ends on 12/31 and one winner will be chosen at random and emailed via email provided. Winner has 48 hours to respond. Preheat the oven to 425° Fareneheit. In a mixing bowl, sift together the flour, baking powder, soda and salt. Stir in the sugar. Using a stand mixer with a paddle attachment, cut in the butter until the mixture is crumbly. In a seperate bowl, stir the Stonyfield Organic Grassfed Vanilla Yogurt with the egg. Mix until fully incoporated. Add to the flour mixture as well as the dried cranberries. Mix until just incorporated. Lightly flour a surface and turn the dough out onto a lightly floured surface. Pat it into a rectangle at least one-half inch thick, using only the flour necessary to keep the dough from sticking to the surface. *The dough will be very soft--just make sure you have flour on your hands and work surface so it won't stick. Dip a bench knife in flour and have a large baking sheet ready. 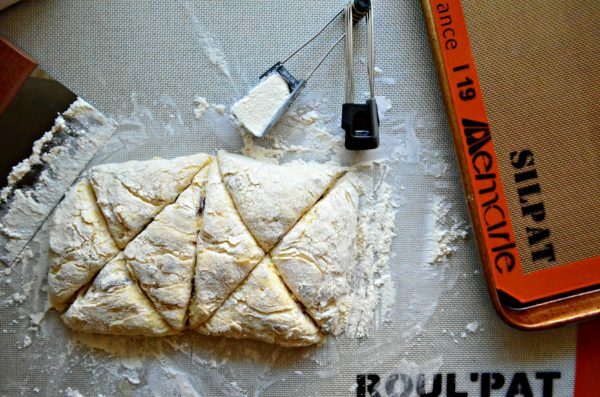 Cut the dough in half, then cut each wedge 4 times. Using the bench knife lift the wedges carefully onto the greased baking sheet (or SILPAT). To make the glaze, stir the yogurt and powdered sugar together. Brush half the the mixture over the scones. 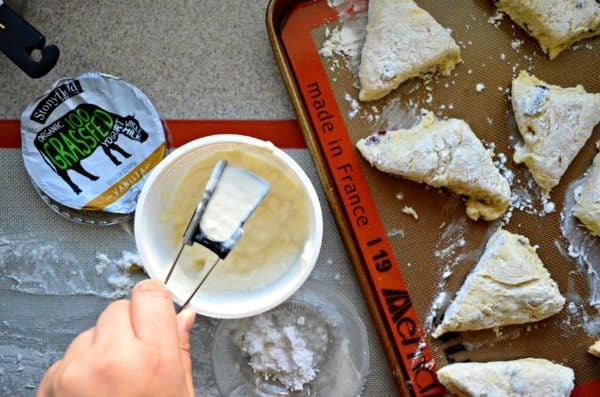 Bake the scones for 12-15 minutes or until lightly browned. Drizzle additional glaze on top and serve immediately. Note: Place leftovers in a sealed container and refrigerate for up to 3 days.